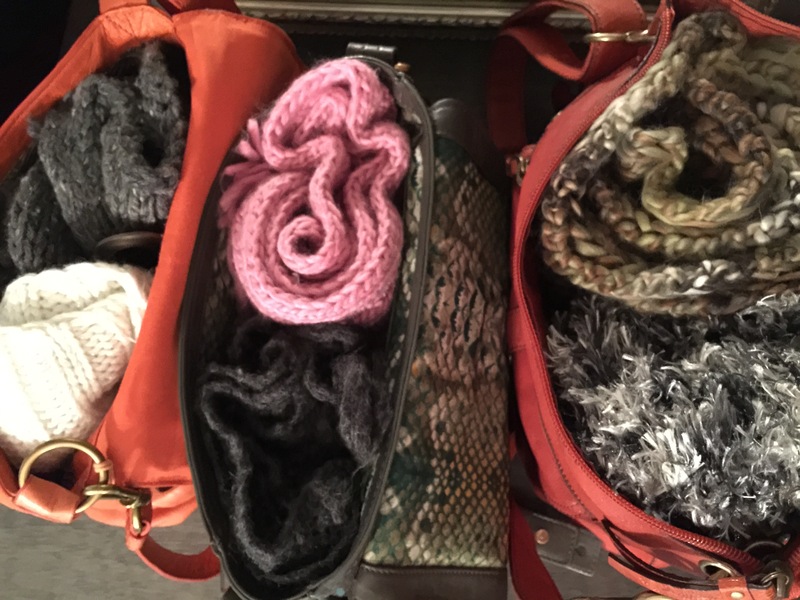 If you’re like me, you have more than one purse or bag. After all, each has its purpose, so a few are necessary! Now, since you can’t use them all at the same time, you toss them in your closet or have them piled high on a table somewhere. Sound familiar? 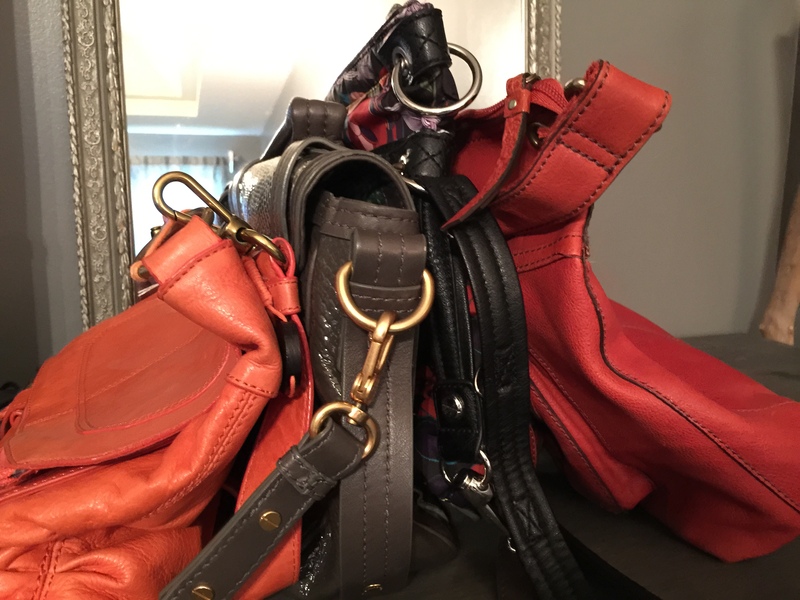 Some time later….you reach for a purse or bag you haven’t used in a long time, only to find their shape has gone away! I’ve got just the solution. 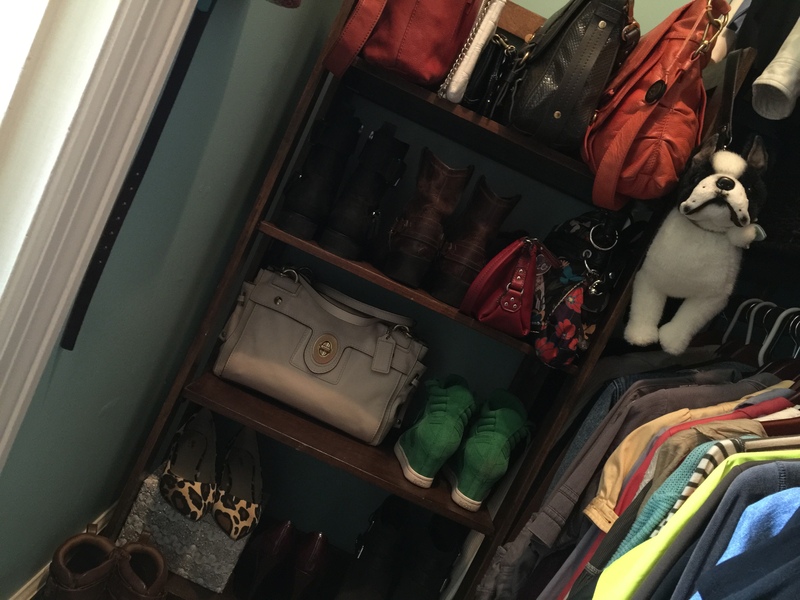 Purses and bags piled up in the closet was me. 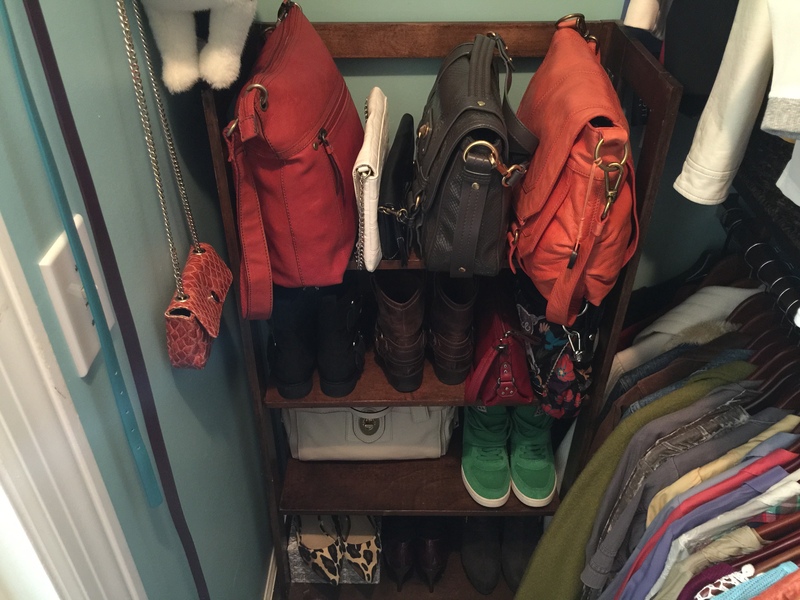 Moving several times has taught me to be more organized… and well my motto is… “An organized home is a happy home.” One day I was organizing my closet. 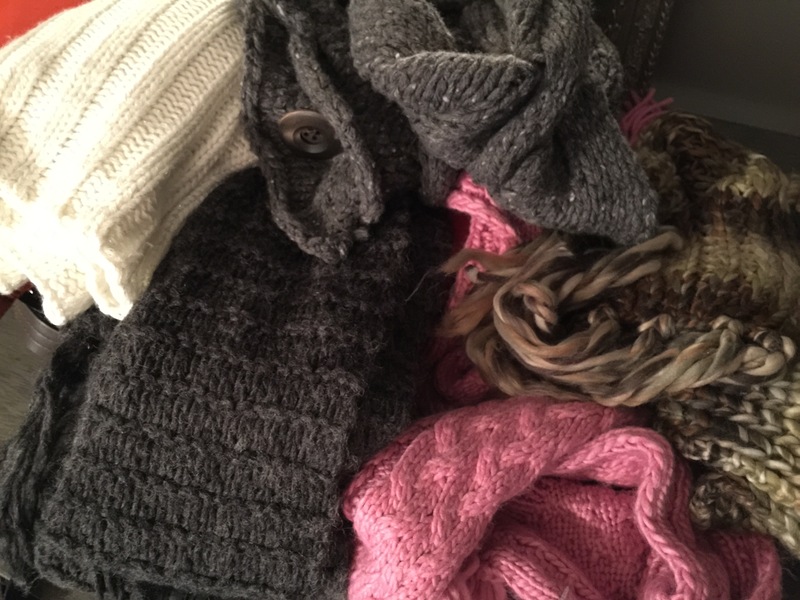 I had a bunch of scarves in paper sacks, crushing one on top of the other, also taking up valuable space. It hit me…why not put them together?! All you need are scarves. The more fluffy the better! You can also use old t-shirts, baby blankets, a few of your 180 pairs of socks! Anything soft will work. I am going to admit these are just a few of the purses/bags I have. I may or may not have 10 or 15! I do use them all, and I love them all, and each has a special memory attached, as all bags were gifts to me from my family over the years. Smile friends for life’s too short to waste a second of it! Hugs and more hugs, Koko❀ ……………… Oh and this is how I store them ……….. Displaying them this way makes it easy for me to find what I need as well as out in the open makes me remember what I have! 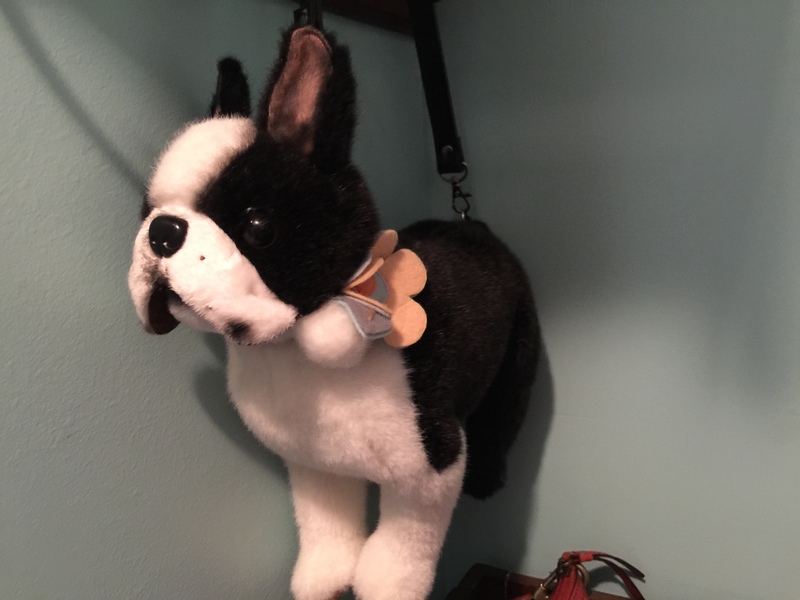 Boston Terrier purse… up close and personal! 😉 Adorable right!? The end… If you want to see what I’m up to, you can follow me on Twitter or Instagram or both! I don’t always post all the things I build, create, do, but a lot of it makes it onto one or both of those! I appreciate it from the bottom to the top of my heart that you follow me!